Aspects of Alice is a classic black light theatre performance, based on the motive of "Alice in Wonderland" by Lewis Carroll which has been performed more than 7,000 times all over the world and has won hearts of audiences in over thirty countries on three continents for its imagination, poetry and technical wizardry. 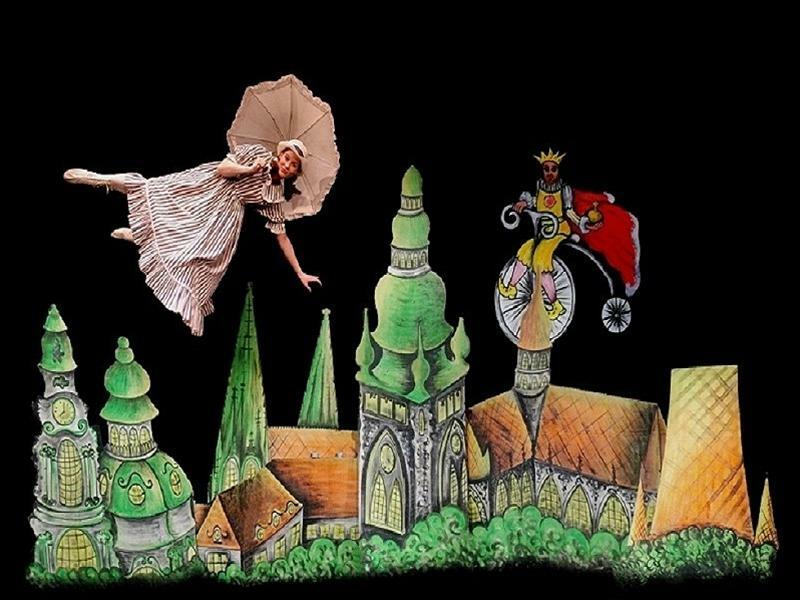 The show is not a literal adaptation for the stage but it takes up the story where Alice ceases to be a little girl. This amazing performance takes place on the background of Old Prague. Prague Black light theatre Ta Fantastika is non-verbal spectacles of pantomime, dance and shadow theatre, a unique Czech form of art theatre suitable also for families with children. Creative direction, large-scale projections and animated film made especially for this production, puppets, amazing tricks and black light theatre special effects, exciting contemporary music alongside with classical music by Bedrich Smetana (My Fatherland) and Antonín Dvorak (The Slavonic Dances) blending with your own fantasy - all this and more makes for an incredible theatrical experience you won't see on any other stage. Before the performance and during intermission, the theatre bar is open and there is live piano music in the foyer of the theatre. Also on sale in the foyer are various memorabilia of the performance. The theatre opens 30 minutes before each performance. We recommend to arrive at least 15 minutes prior to the beginning of the performance. 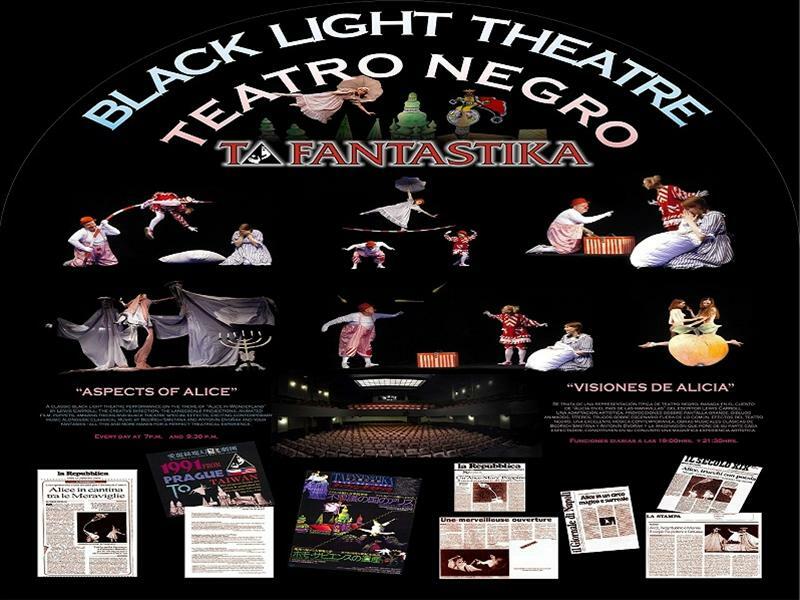 To learn more about black light theatre go to What is Black Light Theatre? What an exemplary show! We are so happy we were able to see the Black Light Theatre production of Aspects of Alice. It was different, exciting, and fun. The fact that the cast members interacted with the audience and brought children up on the stage was great. The seats were comfortable. All in all, it was an experience not to be missed. I went to a black light theatre show at the recommendation of a friend. It didn´t dissapointed me. It was an excellent show! The actors are amazing, as well as the whole scenario created. It was really a pleasant evening.